Nerve MKII is a high Gain-Distortion pedal specially made for aggressive styles. Two channels with independent Gain and Volume controls sharing a 4 control standard American style equ. Perfect matched jfet stages, gives an unbelievable result, touching the color of the American style amps. 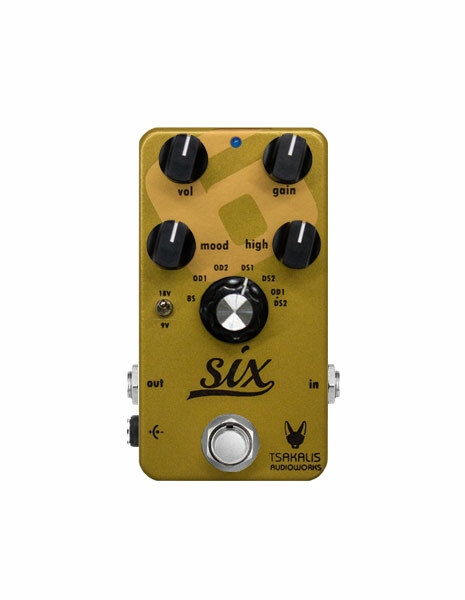 Quick response and touch sensitive, makes this pedal unique for extreme styles. Full and juicy tone perfect for both Rhythm and Solos. A dedicated toggle switch for Channel 1, selecting between High and Low gain settings, and a dedicated insert jack (fx loop) for channel 2 makes the pedal ideal for almost any use.